Hala-Bala Wildlife Reserve is a new conservation area in Thailand. It was officially established in 1996. The reserve is near the Thai-Malaysian border and has an area of around 433 square kilometres. It covers the Sankala Khiri Mountain Range, Hala forest and Bala forest that are deep forests not connected to each other but are part of the same reserve. Hala forest is in Amphoe Betong in Yala and Amphoe Chanae in Narathiwat. However, the only part open to the public is Bala forest that covers Amphoe Waeng and Amphoe Su Khirin in Narathiwat. 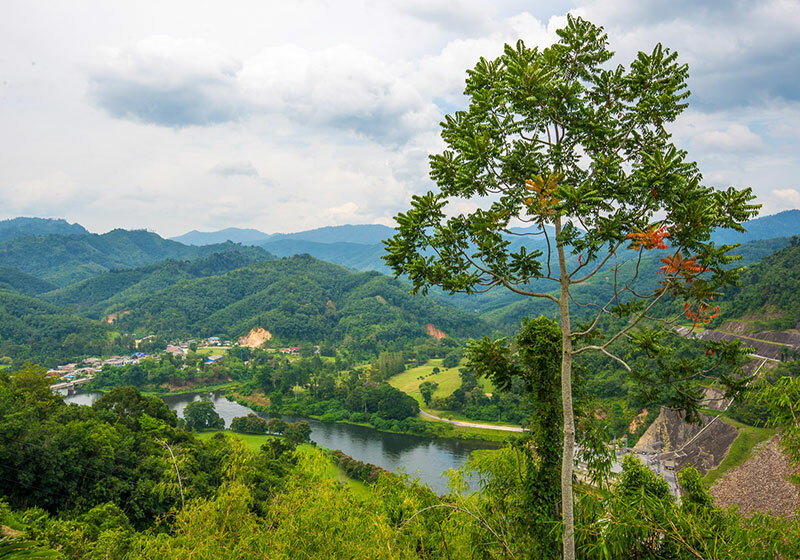 Short Description: A not-to-be-missed attraction for nature lovers, Hala-Bala is one of Thailand’s more recently established conservation areas. Officially set up in 1996, the reserve is located near the Thai-Malaysian border. Covering an area of over 430 square kilometers, it extends over Sankala Khiri Mountain Range and the deep forests of Hala as well as Bala forests.